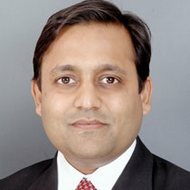 India’s growing reputation across the globe as an investment destination thanks to PM Modi’s jaunts, coupled with the slowdown in China’s economy, has led to an upswing in private equity (PE) investment flowing into the country. More interestingly, the retail sector has been able to corner 8% of the total PE investment pie in the first five months itself. The share of retail in the overall PE investment inflow stands next to its previous high of 11%, seen in 2012 (see chart below). As of May 2016, the total PE investment into Indian retail real estate stood at USD 149 million or INR 10 billion. This has beaten most industry experts’ expectations. The figure has also exceeded investment attracted by Indian retail industry in the year 2007 and could very well cross the previous high seen in 2008. PE investment into retail almost dried out after 2008 until the year 2015, with 2012 being the only exception. Looking at the scale of ongoing deals, it seems like PE investment is back into India’s retail sector with a big bang. It also goes on to show how retail real estate is back in favour with the global investor community. Singapore-based GIC invested USD 149 million into Sheth Developers’ Viviana mall at Thane earlier this year. Interestingly, there are a few deals, apart from one big deal, in the works. If any of these go through, 2016 could prove to be a historic year as far as PE investment into the retail real estate industry is concerned. Economic and political stability, liberalisation of the FDI policy by the Modi government and improvement in the consumer sentiment are some of the factors working in retail and retail real estate’s favour. Quality mall space is coming up with strong pre-commitments, which indicates that retailers also continue to remain bullish about the long-term India consumption story. Investment by PE biggies into retail properties across India will continue to be seen in the next six months as the year looks set to break previous records. More importantly, these figures definitely confirm how Indian retail real estate has become attractive again for PE investment.